Is ALL Sugar Really Bad For You? 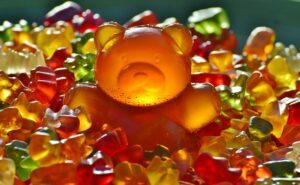 Home/Weight Loss Articles/Is ALL Sugar Really Bad For You? There is a difference between cutting out “unhealthy” sugars and cutting out all sugar. There are sugars out there that will not hurt you provided you are eating in balance. Knowing the difference between the two is a crucial part of health awareness. Cutting out something completely from your diet, especially if you don’t have to, will possibly do more harm than good. 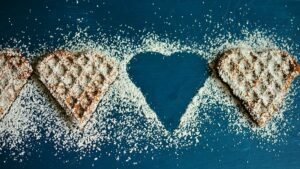 In this article, we will discuss the difference between harmful sugars and more desirable sugars. What Sugars Should You Cut Out? The “unhealthy” sugars are known as “free sugars.” (Mann, 2014). Free sugars are often added to processed food. Free sugars are mono- and di-saccharides that companies add to their food to give it a sweet taste (Mann, 2014). Table sugar, sugar in juice, honey, syrup and fructose are common examples of these free sugars (Mann, 2014). Free sugar and added sugar are essentially the same thing, though the latter term is used more often by advertisers (Mann, 2014). But don’t be fooled by the terms “raw sugar,” “unrefined sugar” and “natural sugar,” as these are all free sugars as well (Mann, 2014). In general, free sugar intake should be kept to a minimum. According to the World Health Organization, peoples’ daily dietary intake should consist of no more than ten percent free sugar (Mann, 2014). Any more than that, and the risk of obesity and dental cavities skyrockets. So, you should cut out sugary foods that are not naturally sweet, such as juices, candy and other sources of artificial sugar. What Sugars Should You Keep? The sugar in fruit is organic and comes naturally with the fruit itself. This fruit sugar contains sucrose, glucose and fructose (Hensley, 2019). There is also sugar in vegetables, grains and dairy (Hensley, 2019). Fruits and vegetables contain fiber that helps reduce blood sugar spikes. Fruit, vegetable and grain sugars provide more nutritional value than free sugars, as these foods contain minerals, antioxidants and vitamins (Hensley, 2019). That doesn’t mean that you should eat tons of fruit. Remember, there is still sugar in fruit and it still has calories. Too much fruit sugar is still too much sugar and you should eat these organic, naturally-sweet foods in moderation. You may have tried to cut out sugar and found that to be ridiculously difficult. That’s because sugar is far more addictive than people realize. When we eat sugar, our brains release dopamine, which is a key component of addictive behavior (Schaefer & Yasin, 2016). Dopamine is a “reward circuit” in our brains that gives us a “high” (Schaefer & Yasin, 2016). In order to keep this “sugar rush,” we have to eat more sugar more frequently (Schaefer & Yasin, 2016). The cycle continues, we gain weight and face serious health consequences. Obesity is a global epidemic, and it is particularly problematic in America, where nearly one-third of men and more than one-third of women are obese (CDC, 2018). This problem tends to correlate with income level, with lower- and middle-income communities facing higher rates of obesity (CDC, 2018). Sugar is a major cause of this increase in obesity, and sugary snacks are cheaper than a diet consisting of healthy whole foods (The Daily Meal, 2012). Communities eat what they can afford, and the cheapness of sugar and processed unhealthy foods has led to its dangerous prevalence. Luckily, there are healthier alternatives that do not break the bank. Fruit (in moderation) is a healthy choice instead of reaching for candy. Also, if you are feeling hungry, consider eating a low glycemic fruit, such as an apple, pear or berries, along with a protein, as that will alleviate the hunger. Choose higher fiber, lower glycemic veggies such as cauliflower, string beans, onions, mushrooms and peppers to name a few. Increasing your water intake combined with low glycemic, higher fiber foods and minimizing your consumption of sugary drinks and processed food, will help tremendously. The cravings for sugar will take several weeks to dissipate, but once they do, you will feel so much healthier. Healthy sugar can be incorporated into a balanced eating plan. Diets require mindful eating. Sugar is one of the hardest foods to eliminate from your diet, since added free sugar has an addictive quality to it. By sticking to healthy alternatives, you can curb your sweet tooth and get on the path to healthy eating and weight loss.